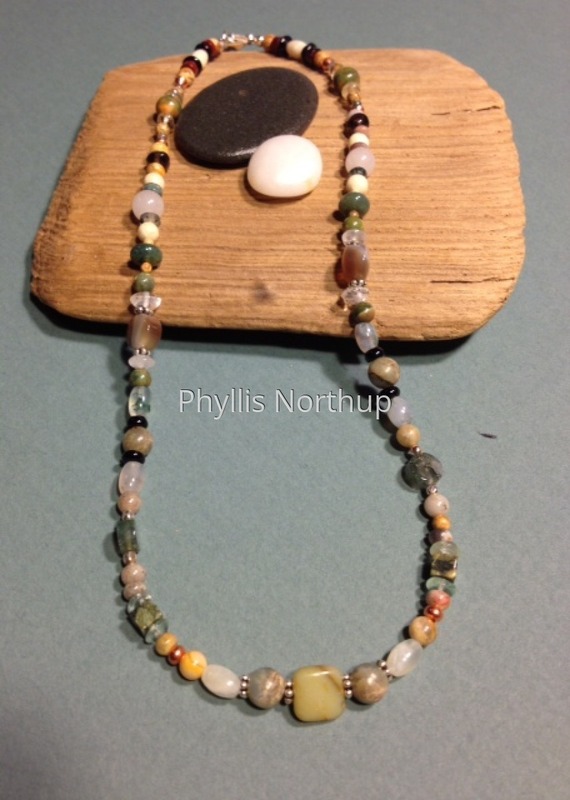 This lovely one of a kind necklace features a variety of semi precious gemstones with predominant colors of greens and tans. The stones include jaspers, agates, quartz, rhyolite, new jade, river stone, and onyx and others, with accents of sterling and copper. Each necklace will be similar but unique due to variations in the natural stones. Sterling clasp, price includes shipping. Click on the other image to see a close up view!